ALL IMAGES COPYRIGHT MARK POLLOCK TRUST. 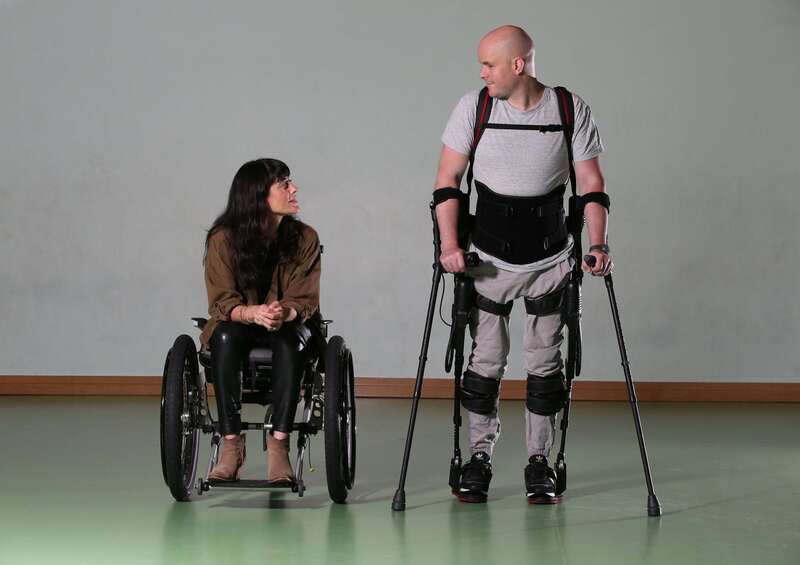 Mark Pollock wears the Ekso Bionics robotic exoskeleton as Simone George sits his his wheelchair at Trinity College in Dublin 7th November 2015. Photographed by Peter Macdiarmid for the Mark Pollock Trust.